With Wallet One Checkout Payment Gateway, you can accept payments in more than 100 payment methods, and ten currencies. And now, you can start accepting payments via Wallet One with your AppThemes website. Different type of accounts. Operate the way you want: as a person or legal entity. Registation. Takes just 15 seconds and you are inside the most convenient private office. All necessary things easily in reach. 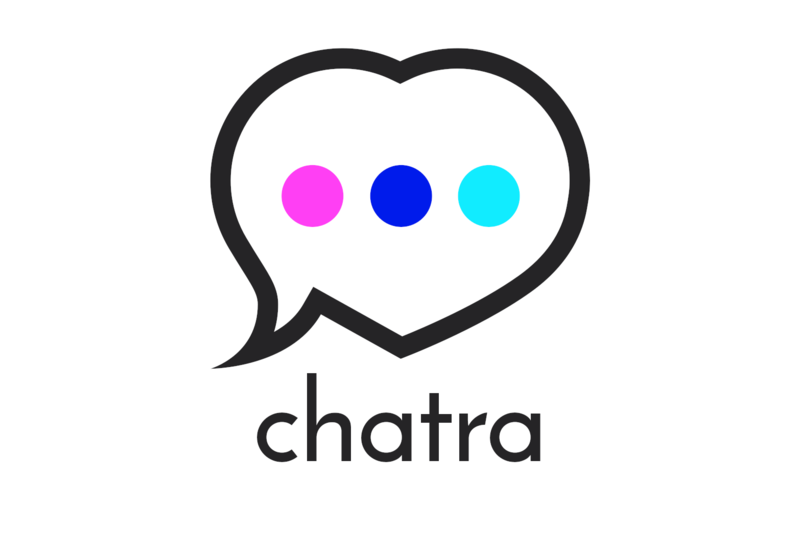 Simple and intuitive access to all essential features. Statistics. Convenient, detailed statistics on turnover and payments structure. Transactions history. Explore your cash flow in detail. Notifications. Wide range of timely system notifications. Customizable Payment Methods. 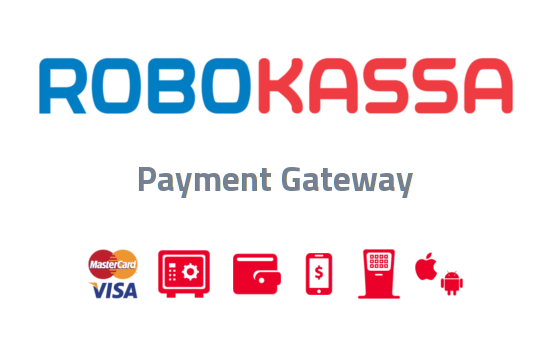 Offer your customers a wide choice of payment methods. Stylize your forms to the look and feel of your site. Precision analytics. Take a look at your business growth. Now, rivals are far behind! More than 30 ways to withdraw money. Send money with one click. Russian law ФЗ-54 suport. 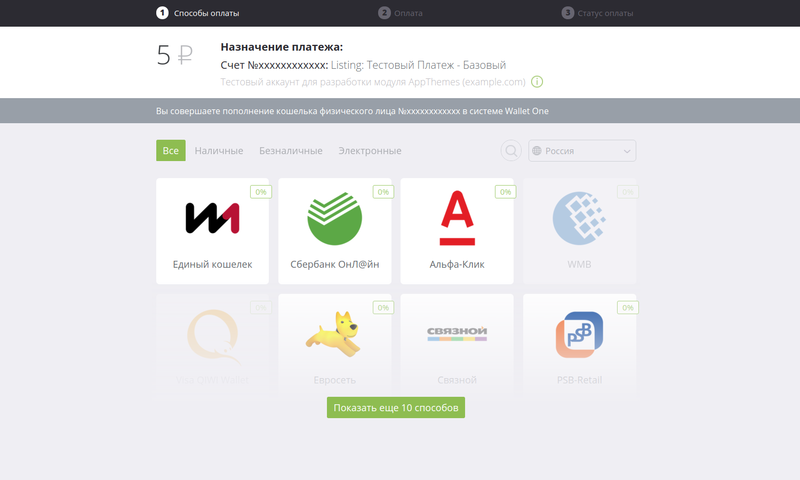 Allows to send checks to the tax service. Wallet One Checkout Account — sign up here. First of all you need to have Wallet One Checkout account. Fill the account settings. Important Note: in the field “URL of the shop” you have to enter the main URL of your site. Subdomains or Subdirectories won’t pass confirmation. Key – Generate new secret key. 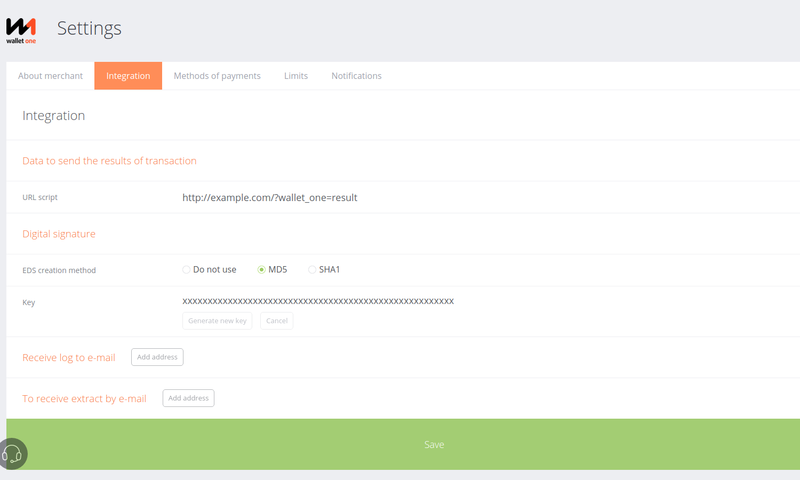 Appeared new Walllet One Checkout tab, open and fill the settings fields with data taken from your Walllet One Checkout Shop account: Merchant ID and Secret Key. Set Interface Language if you need (otherwise language will be detected automatically). 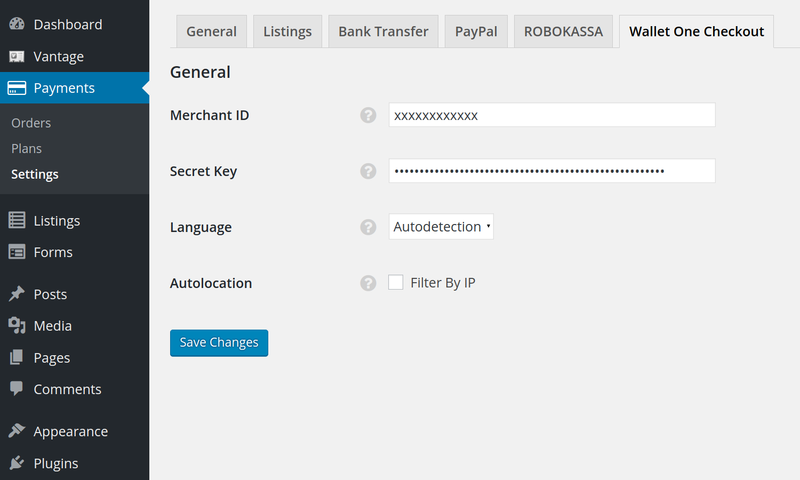 Set Autolocation option to restrict payment methods by user IP. Start to take Payments via Wallet One Checkout! Fixed issue with cyrillic order descriptions. Orders with cyrillic descriptions could not be activated by IPN. Added Russian law ФЗ-54 suport. Yes, it certainly will. The plugin will work with ClassiPress and any its child theme. 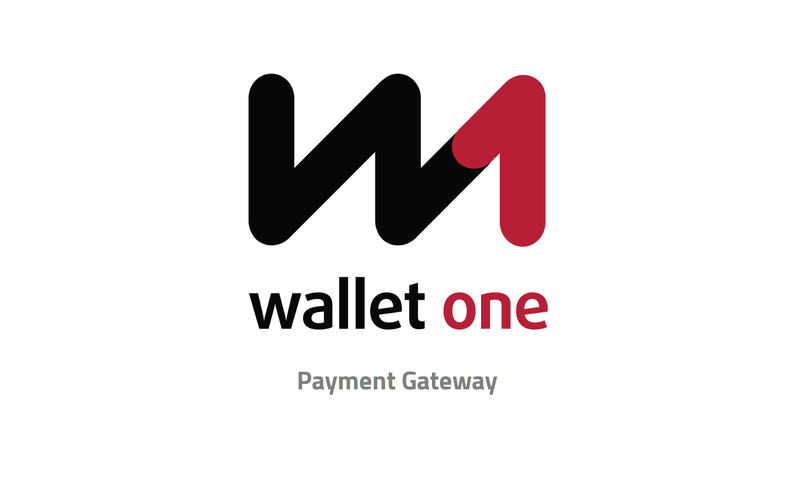 I just have to warn you that WalletOne (as payment system) has own restrictions on account currency (not related to the plugin). So, i’d recommend primarly learn their terms and conditions. Hello! Unfortunately Wallet One payment service doesn’t support UAE and Pakistan currencies. Hi, this plugin is compatible with Vantage 4.0 ? Hello, this plugin is compatible with Hirebee 1.3.8 ? Yes, it is. You only need to keep in mind that plugin supports only instant payments, but not recurring payments or escrow (chained) paiments. Recurring payments allows to purchase plan subscription. For example, on your HireBee site, Project owner submitted his project and paid according to selected pricing plan. After plan period progect will expire and owner will have to relist it and pay for next period. Recurring payments allow to charge owner automatically and automatically relist project on next period. 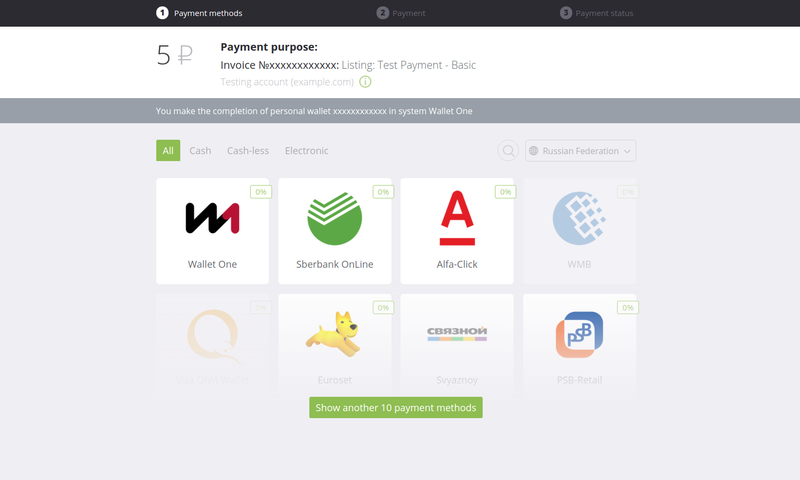 Recurring payments are available in built-in PayPal gateway, but not in WalletOne. Escrow payments allows to preserve project funds until it will completed. For example, project owner find the freelancer and they make a deal. After that owner moves funds from his account to the site account (using escrow payments) and when the work is completed and confirmed – funds will be moved to freelancer’s account. Site keeps his fee for deal. This is how escrow payments work. At the moment they are available only with built-in PayPal payment gateway. Has connected your plugin as described by you. I add the announcement in the third step, when I select the Wallet One redirects me to a non-existent page. What could be the problem? The problem can be in a permalinks. It’s not a plugin issue. Проблема может быть в настройках постоянных ссылок. Это не зависит от плагина.